New Zealand’s All Blacks have insisted that they cannot leave the outcome of their Rugby World Cup Semi-final down to a refereeing decision. The All Black sentiment comes after South African referee Craig Joubert erroneously awarded Australia a match winning penalty against Scotland which put them in the Semi-finals. “That showed us if the game’s tight at the end anything can happen,” said All Blacks assistant coach Ian Foster. Foster said that he expects a similar nail-biting finish when the All Blacks play South Africa to decide who will contest the final against the winner of the Australia v Argentina Semi-final. 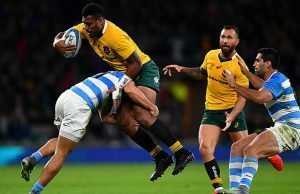 After reviewing the controversial end to the Australia-Scotland match World Rugby have now confirmed that referee Craig Joubert was wrong when he awarded a last minute penalty that secured Australia’s 35-34 victory over Scotland. Foster said it would be up to the All Blacks to avoid being put in the same situation even though he expected the match would be a close call. The All Blacks have already closed the door on their emphatic quarter-final victory against France when the referee could not influence the landslide outcome. 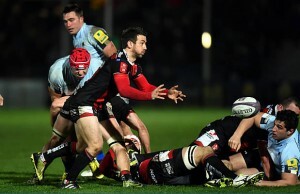 In a gala display of running rugby, the All Blacks scored nine tries to oust France 62-13. “Whilst we’ve all received a bit of a pat on the back for what happened against France, it means nothing now. It’s back to square one,” Foster said. It has been drilled into the All Blacks that they will have to be better than they were against France if they are to beat South Africa. “Obviously there’s a lot riding on the game so the intensity will be right up there,” flanker Sam Cane said. 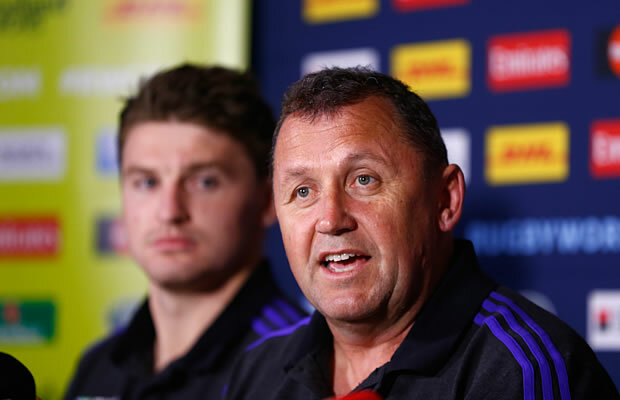 The All Black medical team will play a key role in preparing the side to face South Africa. Training routines will have to be juggled to keep the players fresh while also preparing for the bruising clashes expected against the Springboks’ hugely physical game. “We try to measure it. We talk a lot to the medical side of our team to see where and when we can do that just to make sure we have a hit,” Foster said. Although World Rugby said Joubert remains an “important” member of their referees’ roster the South African has been excluded from officiating in the semi-finals. Jerome Garces of France will referee the All Blacks-Springboks match with compatriot Romain Poite and Irishman John Lacey on the sideline. England’s Wayne Barnes will take charge of the Australia-Argentina game on Sunday assisted by Jaco Peyper of South Africa and Ireland’s George Clancy.